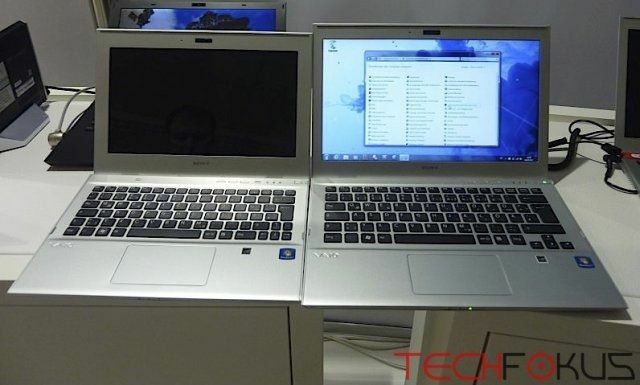 Tag Archive | "sony vaio"
Sony has announced that it will be adding a touchscreen option to the company’s first Ultrabook, the Vaio T13. According to Engadget the ‘T13-2’ can be speced up quite nicely — up to a Core i7, 256GB SSD, and 8GB of RAM. Pricing doesn’t seem to be confirmed yet, but Sony mentions somewhere in the $1600 range for the aforementioned top-end model. The non-touchscreen Vaio T13 now starts at the fair price of $739; it is unclear how much the touchscreen base model will add to this starting price. The touchscreen T13 is expected to go on sale as Windows 8 launches later this month on the 26th. 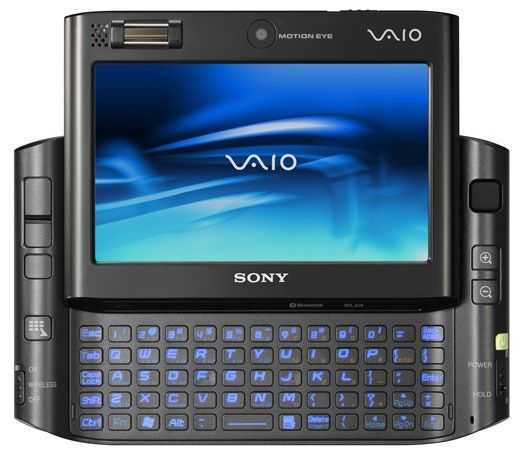 Sony’s most premium ultraportable, the VAIO Z, has finally been refreshed with Ivy Bridge processors. 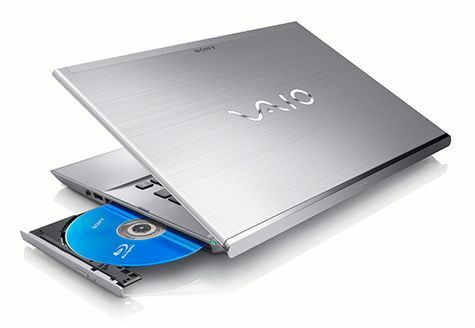 We watched over the last few weeks as VAIO Z stocks dwindled and Sony offered deals to get rid of the previous models. 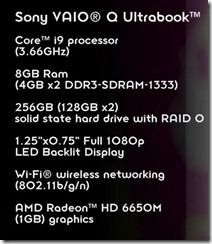 Now Sony is offering Intel’s latest Core i5 or Core i7 processors in the VAIO Z which feature the improved HD 4000 integrated graphics. Update: It wasn’t too difficult to spot the 01.04 on this right? Sony seems to have done very well with the joke though which was probably set up by a PR company. Search for a Sony Ultrabook on Google now and you’re likely to see the Series Q listed. I suspect this is just the start of a Sony Vaio Q Ultrabook campaign. Just how do Sony manage to do this every time? They led the way with their high-powered handheld UX-series UMPCs and it looks like they’re doing it again. This time round it’s an Ultrabook. 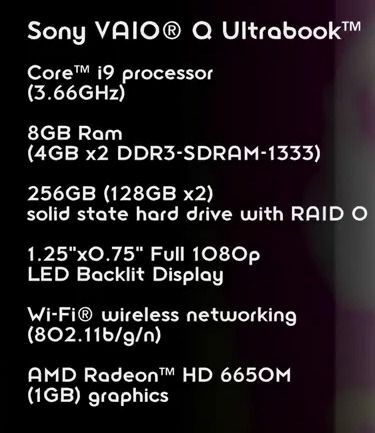 The Sony Vaio Ultrabook looks incredible. 256GB SSD, 1080p display and discrete graphics. 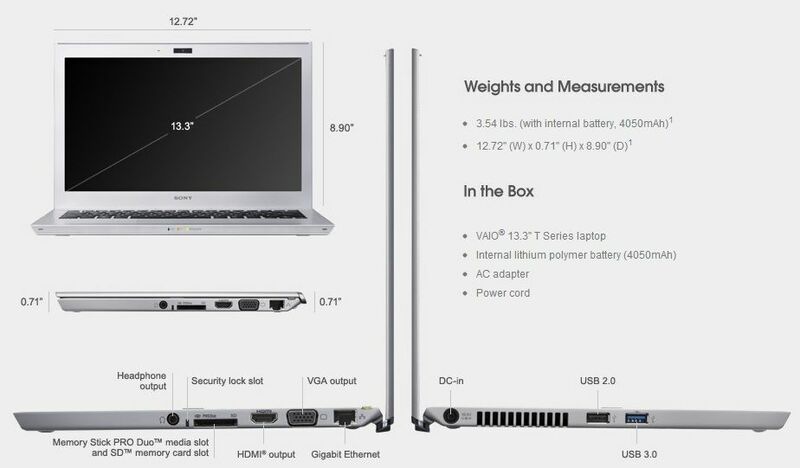 You wonder just how far behind even the high-end Ultrabooks are going to look when this one launches. Video below. You’ve made some of the coolest handheld devices that I’ve ever owned. From your Clie PDA line, I owned the Clie NR70 and the Clie UX50. 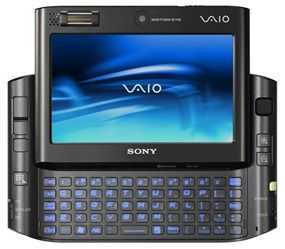 From your VAIO UX line, I’ve owned the incredible UX180. I’ve owned a PSP which was stolen years ago and I recently purchased another one because I regard it as the best mobile gaming device on the market. All four of these devices (and certainly many others in your handheld lines) emitted a blinding light of quality, reeked of design excellence, and were bathed in awesomeness. Each of these devices inspired wonder within me. They were true gadgets. Holding them in my hands made me think â€œwow, this is the future! inch. 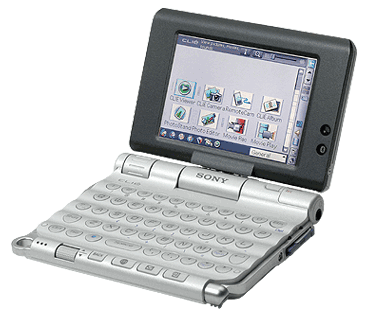 In school, I used to use the Clie UX50 to type notes and assignments in class, then I’d print it out in the library through the infrared port. That was awesome. And even if it did make me look like a total geek, it made people say â€œWow, what is that thing? inch. 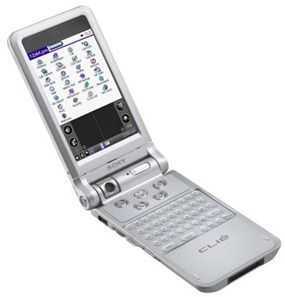 The Clie UX50 had WiFi and Bluetooth before most people even knew what those terms meant. And a 3.2MP camera built-in (rotating camera, no less) â€“ that was on par with digital cameras of the time, and was just one feature of a rich and useful device that I used for years. You didn’t actually call your Clie line of devices â€œPDAs inch, you called them Entertainment Organizers, and for good reason. But most of the world wasn’t ready. They weren’t ready to embrace mobile. They weren’t ready to carry entertainment and productivity in their pockets. You’ve since canned your line of Clie PDAs, your UX UMPCs, and your Mylos. 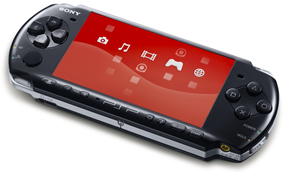 The PSP is great, but it becomes outdated with each passing day and is threatened by the likes of the iPhone and iPod Touch. Those that did accept your devices loved them. 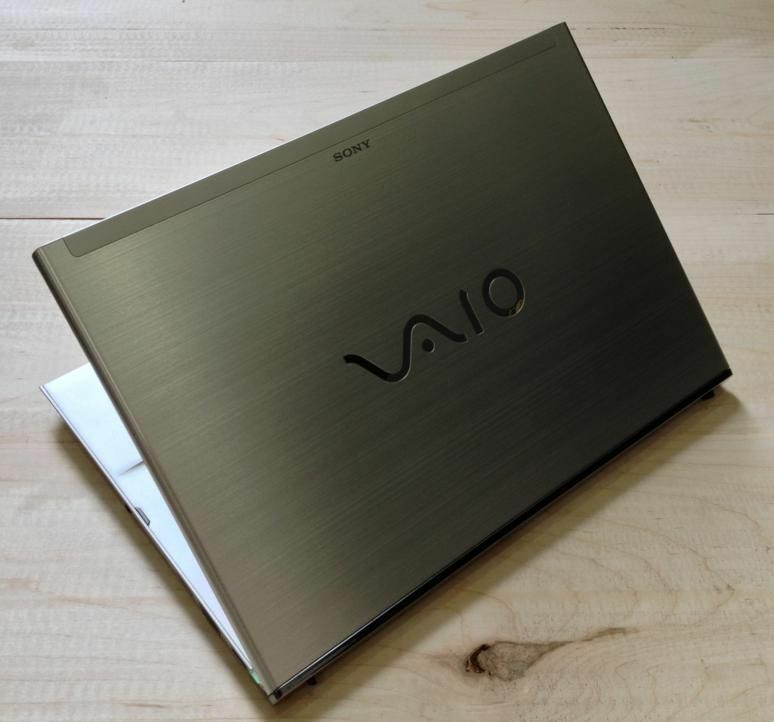 There’s a surprisingly active community of VAIO UX fans who have modded and enhanced the UX series beyond what some thought possible, but it can only be taken so far. They keep modding because they don’t want to let go of your awesome device. They don’t want it to fade away and be supplanted by something that doesn’t inspire the same awe. Things have changed though. You’ve changed, Sony. The blame can no longer be placed on the world. You’ve entered a dark age.